Redhead in Raleigh: Two Paper Firsts!! I won my first blog giveaway over at Katie Loves Paper. If you haven't stopped over there yet, you definitely should! She sells PaperConcierge products (which are super cute) and has great tips for entertaining and ideas for decorating! See I told you, you should check it out! It was on her blog that I discovered the most clever, yet useful, office decor. 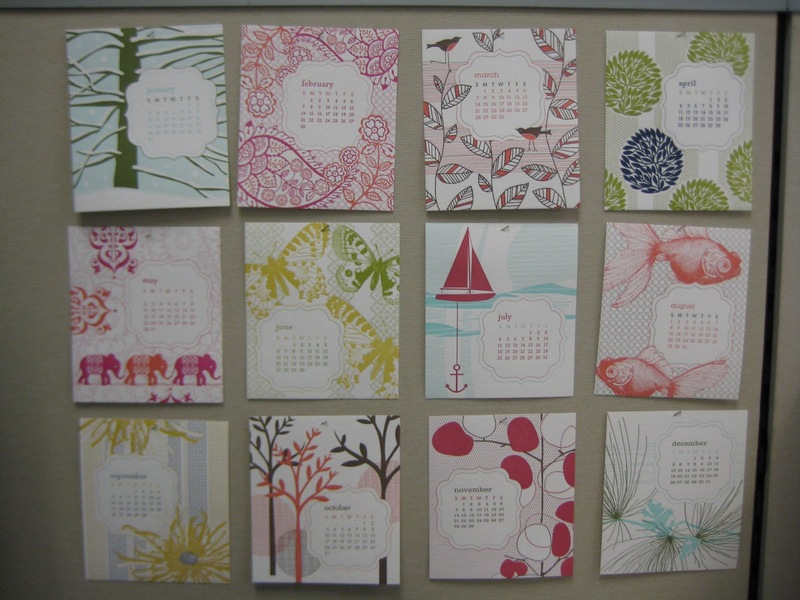 It is a calendar from Paper Source that adds so much color and character to a boring beige office! I can't wait to get mine for 2011 although I have a feeling it will be going up in 2010. Hey you got to plan ahead, right? My second first is that I won personalized stationery!!! Somehow I have never had personalized stationery before. I'm not really sure how that happened, but I'm happy that my life will now include it! Here's the awesome set that I won!